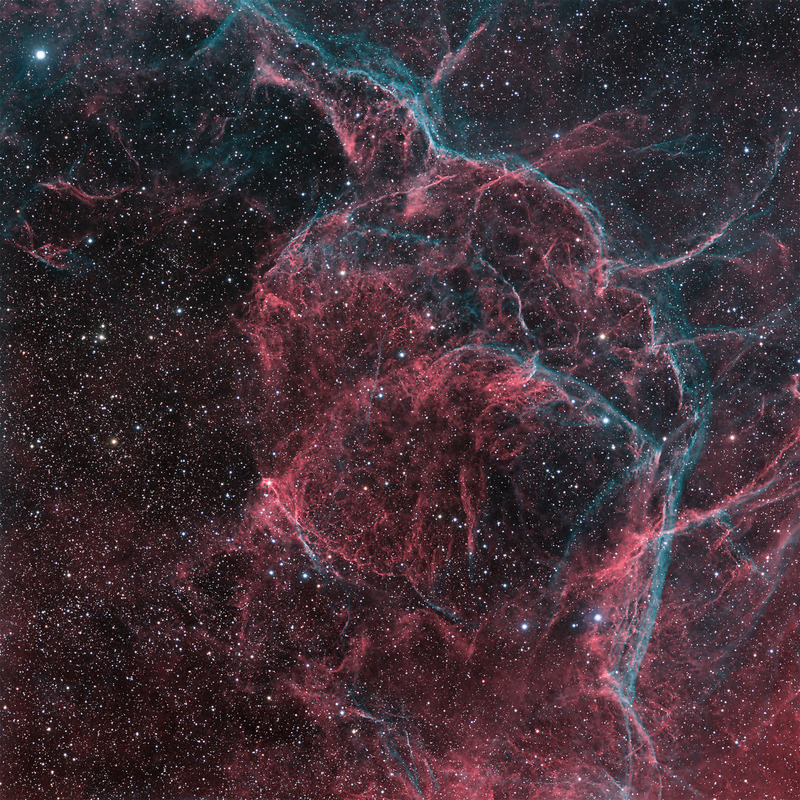 This image only shows the northwest quadrant of the Vela supernova remant in the southern constellatoin Vela. The object is indeed huge, as this image shows a 2.5 deg square field. It is a remnant of a supernova explosion that occurred 11,000-12,000 years ago. The framing and orientation was inspired by one of David Malin photographs taken from the Anglo Australian telescope. My reference is David’s "A View of the Universe", Cambridge Univ. Press, 1993, page 177. You can see his image here. The Vela pulsar that remains from the exploded star is not in this field. This is a hyrbid narrowband (Astrodon 5 nm H-a and 3 nm OIII) for nebular detail + RGB for stars. The web site’s database requires a catalog number for the object, but the Vela SNR does not have one, so please ignore the N1 designation.